Great first time experience in Europe. I got to hike the Alps with a great CEO that was well organised and really friendly. I also met 9 other travellers from across the world and learned a lot while hiking 24 KM Trek's with them. I would recommend this trip to anyone looking to take a break from city life and enjoy the beauty of the Alps. The tour was amazing. A lot of great hikes and views travelling from France-Italy-Switzerland. Really enjoyed how organised the trip was and down to earth the people were. Great group tour experience. I was glad that I packed light! It was a small surprise to take so much public transportation everywhere. But our guide was amazing, and we saw a nice combination of classic sights and local gems. Trek Hidden Costa Rica is a great way to explore the country. I feel like I got so much more out of this trip than I would have on a tour that hits all touristy spots. Very active trip, got to see a lot of wildlife, plus beach/mountains/countryside/waterfalls - so many amazing views! Would highly recommend this trip and will very likely be traveling with GAdventures again. Magnificent mountain peaks, stunning glaciers and picture-perfect lakes. The twelve-person tour was well organized and well paced. Our guide, Romi, was fun and competent. She took good care of us and made sure we had a good time. Half a dozen local guides joined us along the way, contributing new knowledge and their own perspectives. Note that there were many more optional activities than were listed on the website, including a day in Bariloche of rafting or horseback riding with gauchos. We also enjoyed a couple of home visits, one featuring a meal prepared in a traditional pot made from a plow disk. And then there was that sweet trip to the dulce de leche tasting shop... So many pleasures, big and small, in an incredibly beautiful land! My advice: Go a day early so you can take in Buenos Aires’ San Telmo Feria, a ten-block street market that is only held on Sundays. Only ground transport Train, private van, walking. 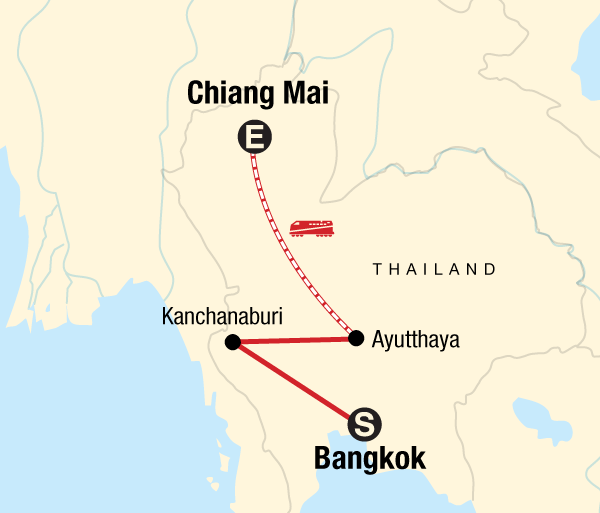 As the popularity of train travel in Thailand continues to grow domestically, some of the routes used on this tour do not have sufficient space during local public holidays, including New Year’s, Songkran, etc. During these times of the year, alternative transport may be arranged for one or more of the train journeys on this tour. A variety of styles of hotels/guest houses are used on this trip. In many instances they might not be like what you are used to back home as service and efficiency can vary. In some areas we stay in simple local guest houses in stunning locations - rooms are small and simple and there may only be shared toilet facilities and showers. Guides Chief Experience Officer (CEO) throughout, local guides. Min. 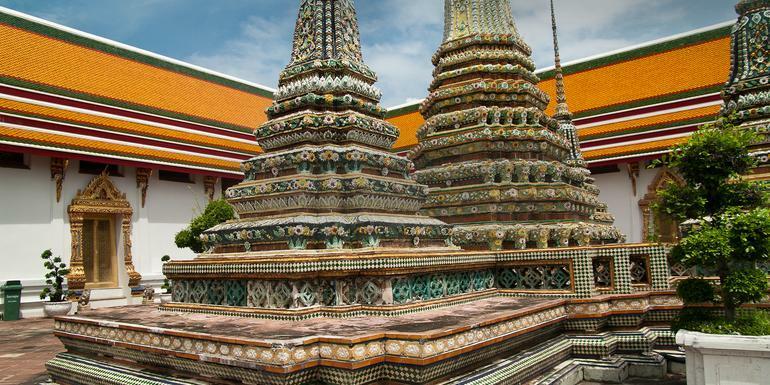 Age: You must be 18 to travel unaccompanied on a G Adventures tour. For minors travelling with a guardian over 21 years old, the minimum age is 12. Rules & Other Requirements Illegal drugs will not be tolerated on any trips. Possessing or using drugs not only contravenes the laws of the land but also puts the rest of the group at risk. Smoking marijuana and opium is a part of local culture in some parts of the world but is not acceptable for our travellers. Our philosophy of travel is one of respect towards everyone we encounter, and in particular the local people who make the world the special place it is. The exploitation of prostitutes is completely contrary to this philosophy. Our group leader has the right to expel any member of the group if drugs are found in their possession or if they use prostitutes.